Apparently, there are still many who love the USA. 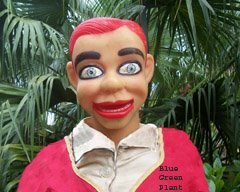 Checks and cash from all four corners of the globe have poured into the Clickstarter account started by Jerry, the Bluegreenplant spokesman. "There's no limit on how much I will collect," stated Jerry. "The more money I get, the more of a shebang the celebration will be! Ha ha ha!" Hershel Terseman, the statistician for the internet has stated that he never knew of such a quick and successful beginning for a Clickstarter Campaign.